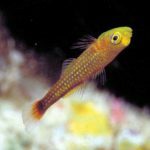 It’s important to understand just how little we know about this genus when it comes to the morphological and genetic variability of these species. In fact, when it comes to their genetics, we know essentially nothing, as there is simply no data for comparison. 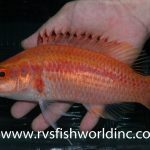 As far as morphology goes, only a handful of specimens have ever been studied; these are, after all, very uncommon in museum collections, even if they are regularly seen in aquarium exports. Randall, J.E. and Fourmanoir, P., 1998. 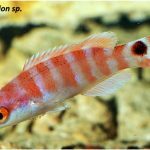 Terelabrus rubrovittatus, a new genus and species of labrid fish from New Caledonia and New Guinea. Bulletin of marine Science, 62(1), pp.247-252. Fukui, Y. and Motomura, H., 2015. 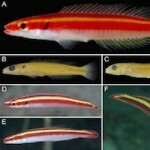 A new species of deepwater wrasse (Labridae: Terelabrus) from the western Pacific Ocean. Zootaxa, 4040(5), pp.559-568. Fukui, Y. and Motomura, H., 2016. Terelabrus flavocephalus sp. 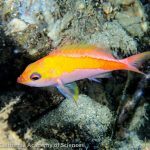 nov., a new hogfish (Perciformes: Labridae) from the Maldives, Indian Ocean. Ichthyological research, 63(4), pp.529-535.